Sorry for murdering the spelling of your handle in my previous post. Although we don't have the 2016 data on the latter, we can see the trend from 1996 onwards of the number of persons per residence decreasing and the number of singles in a residence increasing. This is compounding the housing supply issue and is expected to ramp up as the population ages and as fewer people get into a "common law" relationship due to new government regulations. This is why there's no housing inventory on the resale market and so few rentals. We're just barely able to satisfy demand, and plenty of folks are living in illegal secondary suites due to no available rental inventory or housing inventory on their price range. I would love to see more detail on their methodology both for counting residents, housing units, and vacant properties. Here's 2 floors, Live-work, 1054 sq. ft. $469,900. $445/sq. ft. I remember seeing an ad for a place in one of those buildings before, and have walked past as well. Looks surprisingly nice and spacious from the pictures. Just don't know if that's the part of town I'd want to live in. Also surprised the cost isn't higher. Edited by sebberry, 10 February 2017 - 04:35 PM. ^-- Just attended the open house for this place. Surprisingly decent inside. Kitchen has nice newish countertop but the cabinet fronts are showing their age. 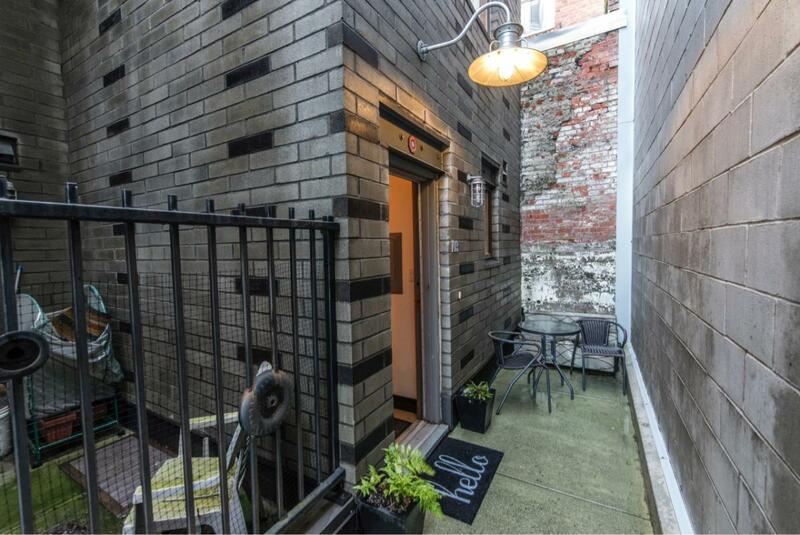 Slightly off put by the lack of a bathroom on the ground floor, and the fact that there is no view to be had anywhere. One bedroom looks at the cinder block wall some 4 feet away, and the master faces a number of windows opposite - would likely want to keep those blinds closed! The patio is a nice little outdoor haven, if small. Decent amount of storage space. Edited by grantpalin, 12 February 2017 - 03:14 PM. That's a privacy wall. Highly desirable. But no natural sunlight anywhere unless it is coming straight down. Now that is depressing. Better off with no window. [quote name="grantpalin" post="366785" timestamp="1486941280"]^-- Just attended the open house for this place. Surprisingly decent inside. 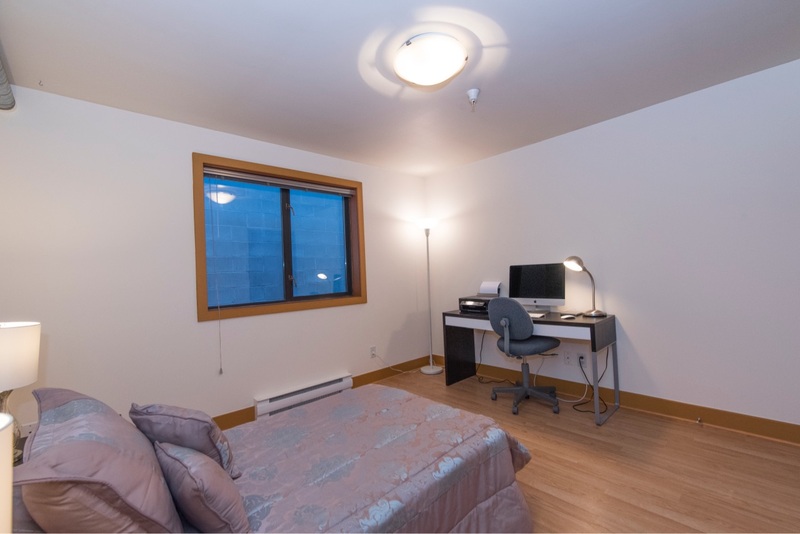 One bedroom looks at the cinder block wall some 4 feet away, and the master faces a number of windows opposite - would likely want to keep those blinds closed! The patio is a nice little outdoor haven, if small. Taking into consideration the view from the widow upstairs. a larger deck area too . Your own little Shangra La . I'll chime in here and sing some more praises of Parkside Place in Saanich. About eight years ago, we were very happy renting a house in vic west, loved it actually, but then the hammer fell and we got evicted because the duplex had been illegally turned into a fourplex. City demanded action, landlord had just passed away, the widow wanted nothing to do with any of it so pulled the plug and sold it. We were a family of four by this point, so felt we needed a three bedroom but we're in the extreme low end of the market, sub 300k. Tough to find anything! We looked at some apartment/condo conversions in esquimalt and a couple townhouse units at Parkside Place. We ended up getting into a three bedroom 2 bathroom 1200 sq foot townhouse, in good shape, for about 260. Cheaper than rent. Of course you gotta come up with a down payment. These units still come up for sale, and have not appreciated much as far as I can tell. A bit of an unknown treasure in our local housing market. I recognize the market has changed a lot since 2008 but this place just seems so off the radar and buying it has really changed our lives. We have had a fantastic experience here with excellent property management, grounds are always nice, repairs are well taken care of, nice little pool and a really great community feel with many long term owners. Rentals are capped so there are not a lot of transients, pets are allowed. Close to town, close to west shore, right on the goose, etc. To the original poster, take a look down here, see if there are any listings. Maybe an estate sale? You Mish get lucky. We did! No current listings at Parkside. 876 sq. ft. It's in one of the condo buildings. I like the townhouses better. Top floor though, $360 strata fees. The missus and I keep tabs on older, larger condo units knowing we will eventually move on from the SFH. Latest listing intel indicates about $475-500/sq ft for these kind of units. Seems to me the condos take a beating on the strata fees. For our townhouse they seem very reasonable. Al does a great job with the care and upkeep, paint is always nice and lots of regular improvements with things like paving and playground, plus with heat and hot water included the $35 monthly hydro bill is nice too! We have a couple of great tenants and our daughter will probably live here in a few years as she is hoping to attend Uvic. I'll be there tomorrow! Condos are fine for "getting into the market" but forget about having a family or a life in one. Funny you say that....my wife and I had a larger beautiful home in Royal Bay and sold it. We were looking to buy something closer to downtown but nothing of interest came up in time before our sale completed. We ended up renting a furnished condo in the Bayview residences and fell in love with the building as well as the neighborhood. The extra hour and forty five minutes I saved every day not doing the commute is huge not to mention all the pubs, great dining, shopping for my wife, beautiful stroll along inner harbor at your door step, no yard work, downsize to one car makes life so much better. 6 years later and haven't looked back. Yes, to each his own, for sure. But I would imagine there aren’t many kids in that building. Maybe a newborn or a toddler or two?